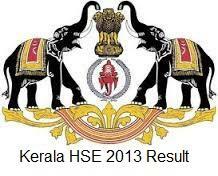 The Education Minister of Kerala will officially declare the result of Kerala Board Higher Secondary Education (HSE) examination result on 8th May 2013 at 12:30 PM. The Directorate of higher Secondary Education of Kerala informed that the result will be available online in the government official websites for Kerala education after 12 PM on 8th May 2013. The Directorate conducts the various HS Examinations for students of Open School, Technical Schools, Kalamandalam Arts School, Schools in Lakshadweep, Mahe and Gulf Countries along with the students of the Higher Secondary Schools. The HSE examination was conducted in March 2013 and 3,86,100 students appeared for the exam. The organised committee managed to complete the evaluation within the stipulated time. The Result of Plus one examination will be published in the first week of June 2013. The HSE 2012 Examination result was declared on 15th May 2012. So it is a pleasure for the students that they do not need to wait a long for their result this time. Of the 2,93,112 students who appeared for the examination in 2012, 2,58,179 candidates qualified for higher studies with a passing percentage of 82.25. Also Girls stood ahead of boys by securing 2,234 "A" grade in all subjects out of the total 3,334 students.